"If you read your bible and pray everyday, you'll grow, grow, grow..." That's part of a song our kids at church sing sometimes in their bible classes. Maybe they like it because at the beginning of the song they get down on the floor (fun!) and grow up like a tree as they sing and then shrink ("if you don't read you bible and pray everyday, you'll shrink, shrink, shrink...") and then there's the grand finale of growing up again as the song ends, or maybe they like the simple, pure message of the words, either way, it's a song that's requested often. The simple words of a children's song can be so powerful can't they? (Throw in hand motions and you've got yourself a HIT!) When the other fluff and chaff is stripped away basic Godly truths become very clear: reading your bible = growth. 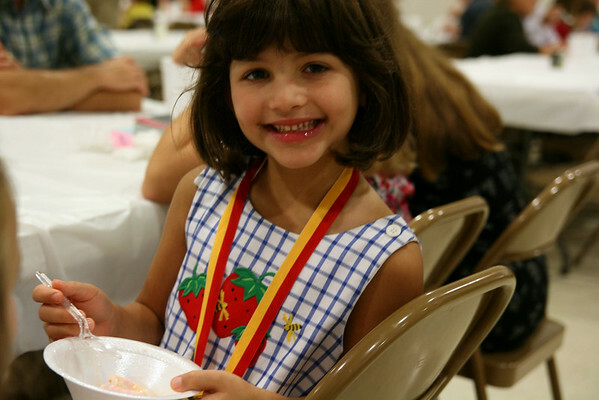 For the last few years Annelise has eagerly anticipated the beginning of the Summer Bible Reading Club that our church organizes for kids of all ages and their families where we read certain chapters of the bible between June and August. The kids keep track of their reading progress and get to choose small prizes as they complete each level. This year we read the Gospels (Matthew, Mark, Luke & John) and Acts together as a family. The reading plan usually called for two chapters a day to be read in order to finish by the end of summer. We started out on track, then got behind, then got back on schedule, then got waaay behind and had to play serious catch-up as it got down to the wire, but we finished. 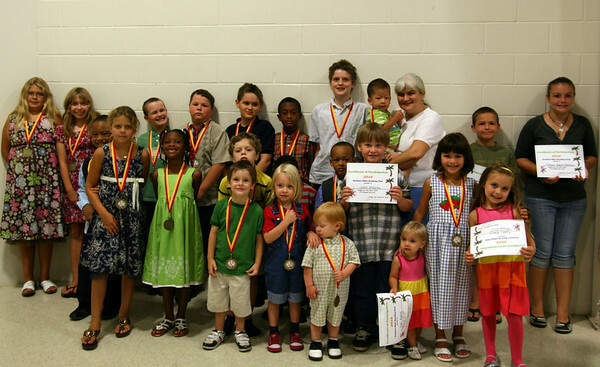 We had a back to school potluck lunch after church yesterday and the kids that participated in SBRC got their certificates and medals. WooHoo!! Followed by ice cream. WooHoo!! It's been so wonderful to see Annelise's growth each summer that we've participated in SBRC. In the past Scott and I have taken turns reading out loud and she would follow along (well, maybe that's a stretch, she'd lie in interesting positions on the couch and listen). This year was monumental (at least to me) because she read out loud with us. (!!!) It was so heartwarming to hear her sweet little voice reading God's word (my proud mama's heart burst into a million sparkly pieces each time it was her turn). 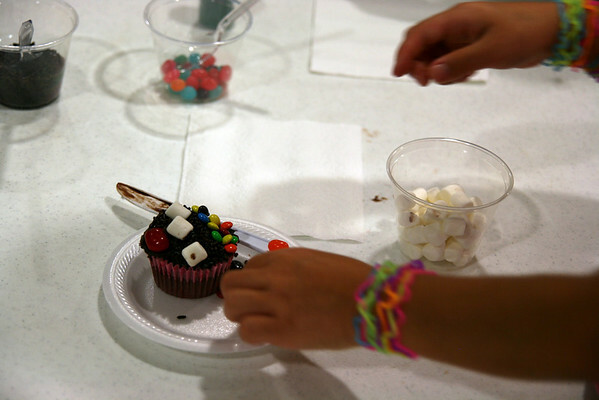 Last night after evening services the SBRC kidlets had a little cupcake party to celebrate their accomplishment. 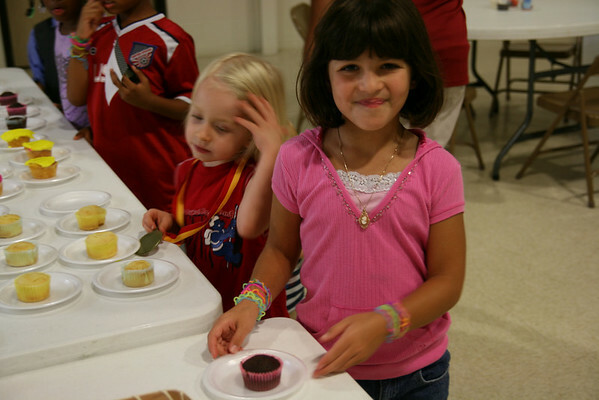 They got to frost and decorate their cupcake(s) with various forms of sugar. This was, of course, a HIT. I don't know which was more fun, the decorating or the eating. I'm going to go out on a limb here and say...both! that haircut is so darn cute! Cupcakes & bible study is a great combination. 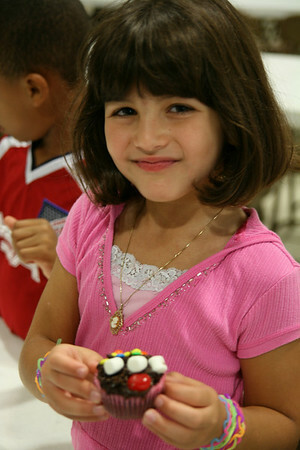 I love the idea of letting the kids decorate their own cupcake.